Fennel fruit (Xiaohuixiang)-Foeniculum vulgare Mill. Part Used & Method for Pharmaceutical Preparations: The fruit is gathered in late summer or early autumn and dried in the sun. Meridians: Liver, kidney, spleen and stomach. 1. Cold stagnation in the liver meridian manifested as hernia. 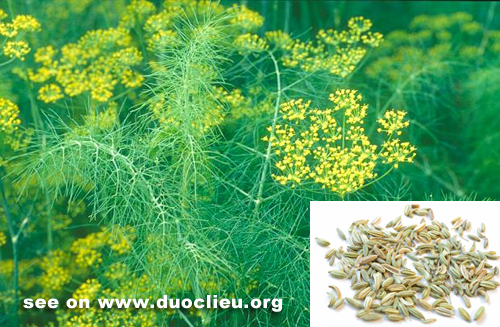 Fennel fruit (Xiaohuixiang) is used with Cinnamon bark (Rougui) and Lindera root (Wuyao) in the formula Nuangan Jian. 2. Cold in the stomach manifested as vomiting and epigastric distension and pain. Fennel fruit (Xiaohuixiang) is used with Dried ginger (Ganjiang) and Costus root (Muxiang).